Bitcoin has become very popular, and you have probably heard the stories about how much it has increased in value since it first started. 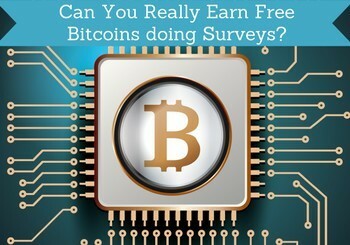 But can you really earn free Bitcoins doing surveys? In this article, I am going to tell you how you can do this, and which survey sites that offer this option. So if you are interested in earning Bitcoin without having to invest anything, then this article will explain you how to do this. In case, you do not already know it, Bitcoin is a cryptocurrency and a worldwide payment system. Luckily you do not have to understand all the technical details to start getting paid in Bitcoin (I personally do not yet understand the details). It is however a good idea to become familiar with how it works, as it is quite different from what most of us are used to. What is very important to know, if you want to get paid from survey sites, is that to be paid in Bitcoin, you need a Bitcoin wallet installed on your phone or computer. You will then get a Bitcoin address, and this is the address you need to use to get your survey rewards paid out to your Bitcoin wallet. It is free to get a wallet. Where can you get paid in Bitcoin for taking surveys? Bitcoin is still not a very used way to get paid for surveys, and not many survey sites offer this option. PayPal is still the most popular payout method. But are there luckily some survey sites that pay in Bitcoin, and I would be surprised if the amount will not increase over the next couple of years. One thing you have to be aware of is that the payout threshold for getting a payout in Bitcoin is a lot higher than for other rewards on some survey sites. So it might take you a bit longer to get to the payout threshold than if you want to get paid through PayPal or gift card. On the list below, you can see what the payout threshold is for each site. Each of the sites below has different opportunities and options. To increase your chances of earning it is therefore a good idea to join several of the sites. The list will regularly be updated as new sites will start paying in Bitcoin, so make sure to bookmark the page and come back and check it once in a while. Superpay.me has many daily surveys and paid offers. It is however a little confusing to use in the beginning, so you just have to take a bit of time to get to know the platform. Once you get to know it, it has great potential, and in addition to the offers and surveys, it also has a great free cash contest, you can participate in. You can get paid in Bitcoin, Payza, Skrill and PayPal. Superpay.me has a really low payout threshold for most rewards, as you can get paid as soon as you have earned $1 – this is however not the case for Bitcoin. To get paid in Bitcoin, you have to wait until you have earned $40. ClixSense is first of all a survey site, and that is the main way to earn here. It offers a good amount of daily surveys, and you can join no matter where in the world you live. In addition to surveys, ClixSense also has really good options to earn by doing Figure Eight tasks (previously CrowdFlower), it has many offer walls where you can find paid offers, and it has a great daily bonus, if you have a certain activity on a given day. ClixSense does not directly pay in Bitcoin. But it pays through Skrill, Payoneer, Payza or Tango Card. Tango Card can be exchanged for Bitcoin, so that is the reward you need to request to get paid in Bitcoin through ClixSense. The payout threshold from ClixSense to Tango Card is $10. InstaGC is another good GPT site. It has a decent amount of paid surveys as well as other options like Figure Eight tasks, signing up for websites, watching videos, betting on sport and more. It is a site that is available all over the world, but the amount of opportunities can vary from country to country. In addition to getting paid in Bitcoin, you can also get paid through litecoin, ethereum, PayPal and choose from many gift cards. Before you can get paid in Bitcoin, you do however first need to earn and withdraw minimum $50 in other rewards. After that, you can withdraw in Bitcoin, when you have earned $10. Cinchbucks is a get-paid-to site that is available more or less all over the world. How many earning opportunities you will have will however vary depending on the country you live in, but it in general offers a good amount. You can earn by taking surveys, take offers, invite friends, get cashback when shopping online, find coupons, and play games. It is not the most user-friendly site, but with a little patience it can be a great way to earn free Bitcoins. You can request a payout once you have earned $10 – that is also the payout threshold for Bitcoin. You can also choose to get paid through PayPal or gift cards. Rewarding ways is very similar to Superpay.me – in fact, it is created by the same company. It has a good amount of paid offers, many survey opportunities, free cash contest, and it is a bit confusing to use in the beginning. It is very clear to see that it is the same company that is behind both of these sites. Therefore, the opportunities are also very similar, so it does not necessarily make sense to join both Superpay.me and Rewarding Ways, if you do not want to join too many sites. There is some difference in what they offer but not a lot to be honest. The reward options are also the same as on Superpay.me, so you can get paid through Bitcoin, PayPal, and Skrill. Also, here the payout threshold for Bitcoin is $40, so it takes a little longer to the other reward methods where you can get paid already when you have earned $1. Timebucks is a bit of an outsider on this list for several reasons. It offers many of the same earning methods as the other sites – like surveys and offers, but it also has some ways to earn that are quite unusual like a getting paid to follow people on social media, watching content, and more. Timebucks gives several Bitcoin options. You can first of all choose to get paid in Bitcoin – the payout threshold for this is only $10. You can get paid to the wallet of your choice. Furthermore, there is a “free bitcoin” tab on the site, where you can sign up for a site, where you supposedly can earn free Bitcoin. In general I like Timebucks, but I am not too happy about this option – maybe I am imaging, but after I signed up on the free Bitcoin site, I started receiving more spam email about Bitcoin. And you do not really earn anything on Timebucks by signing up for this free Bitcoin option, but you can earn directly on that site instead, if you are interested. In addition to this, Timebucks has a mining option, where you can earn by mining cryptocurrencies just by having a tab open on your computer. It will not make you a lot, but you also do not have to do anything other than having your computer open. So it is a site that has several options, if you are into Bitcoins. 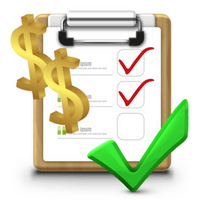 There you have it – a list of GPT and survey sites where you can earn free Bitcoins. As mentioned, I expect that more sites will start using this option in the future, and I will update this list accordingly. So make sure to bookmark this page and come back and check for updates once in a while. As you can see, the payout threshold can be quite high on some sites when it comes to Bitcoin, so just make sure to check this before you join, so you know what to expect. If you have any questions, comments, or know of a survey site that offers Bitcoin as a payout method that is not on the list, I would love to hear from you in a comment below. Thank you very much Auwal. Appreciate the kind words and very happy to hear that. Thanks for the suggestion Calvin. I will check that out and put it on the list if it turns out to be a good option. Thank you very much for your feedback Annette. Glad to hear you like the information and find it useful.